We don’t make a big deal of it to him, try to correct him or make fun of it. We’ve just decided to let him get on with it, knowing that he’s only three-and-a-half and that it will most likely straighten itself out. And in the interim, I have him on the speech therapy list, you know, just to be sure, to be sure. I wondered this week if I was being particularly over-sensitive about the issue, but then I realized that nobody in their right mind would slag off an adult’s lisp or speech impediment, as it would be the height of social rudeness. Like, you’d never roar at your mate down the pub, ‘What did you say you wanted? A Bacardi BREEEETHER??! Oh my god, you’re so cute!’. You’d get decked, right?! So why is it ok when it’s a kid, because they’re little? Well, what if it does affect them just the same way as it would an adult and hurts their little feelings? And sorry (not sorry), but with my cute kid? Not on my Mammy Watch. Look at that big belly on you. Where did you get that big tub?! Have you done your poo-poos? What do they have you wearing today? Have you no decent clothes? You have to get that hair cut. Did you wipe your bum? Properly, though? You are not listening to me and you have to do what I say…just ‘coz. Did you put clean pants on this morning? Show them to me. Have you brushed your teeth? Let me smell your breath. Oh you did, well done. Right then, bed. I can see your buuuuuum! You smell bad, your hair is like a bag of chips. Go shower. 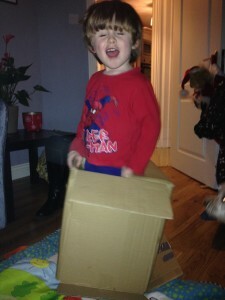 This entry was posted in Parenting and tagged HerFamily.ie, Lisp, Mammy, Protective, Speech, Toddlers on July 5, 2015 by Sharyn Hayden.